Great photos, showing very well the beauty of these little plants!! What is the origin of the seed? Any locality data? I doubt that it is an egregia, it looks more like a form of M. lasiacantha or M. stella-de-tacubaya, or a hybrid. 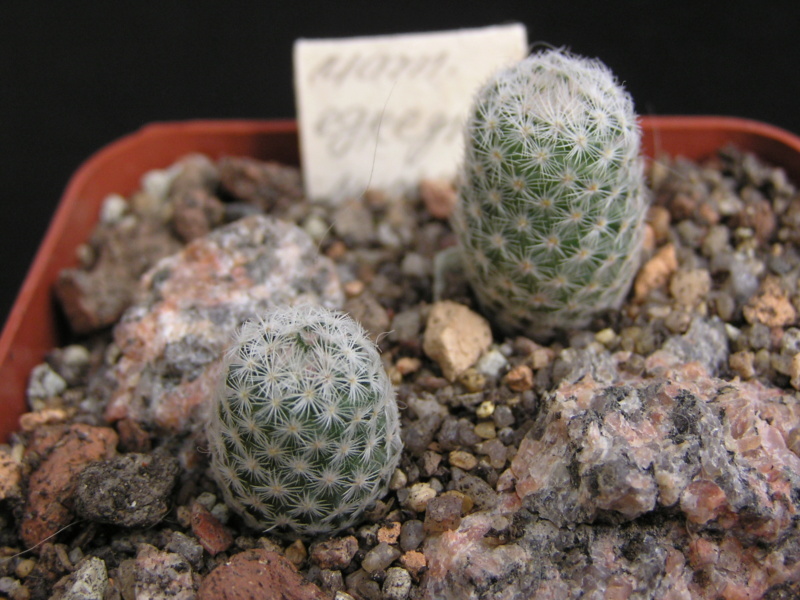 It seems that the plants under this name are distributed according to Ukrainian collections. These I sowed myself. I suspect that the provider is the same. And these I got as a gift from a friend, from the Northern regions. 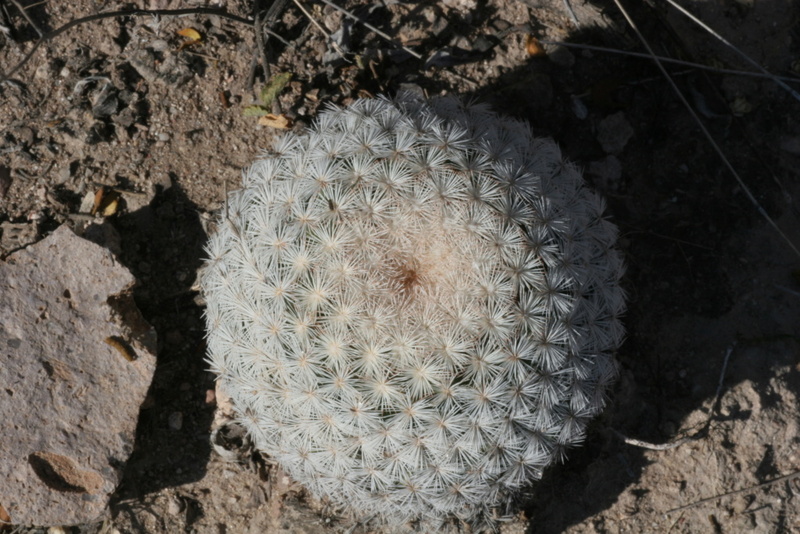 As we can see in the photo, there is no characteristic umbrella radial spines. The true egregia grows between Parral and Jimenez. In the Mesa Garden seed list you will find it under MG 633 with field number SB 30, west of Jimenez, Chih. An old (2003) seed list also contained MG 633.1, M. egregia GL 20, Santa Eulalia, Chih., but in my opinion, that is actually M. stella-de-tacubaya (however, egregia and stella are strongly related, and perhaps egregia should be a subspecies of stella-de-tacubaya). 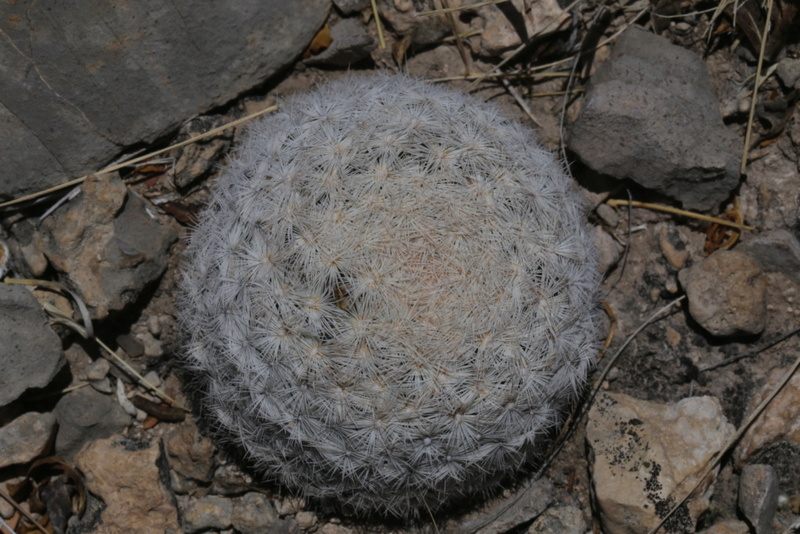 M. egregia has its spines completely flat against the plant body, it is a wonderful plant, and I once read in the Cactus and Succulent Journal (US), that it is the Mercedes under the Mammillarias! (although I prefer Audi...). 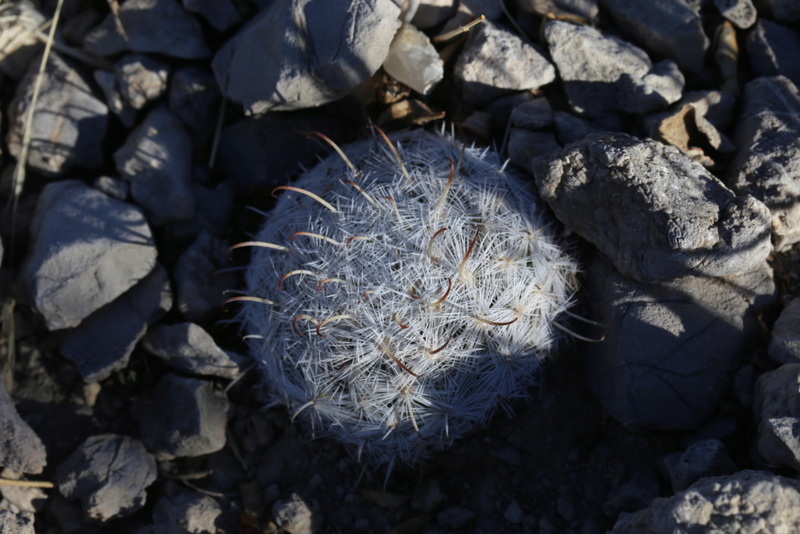 Near Naica and Camargo I have found plants which come quite close to M. egregia (spines almost completely appressed, just as in egregia), but still I think that they are M. stella-de-tacubaya. 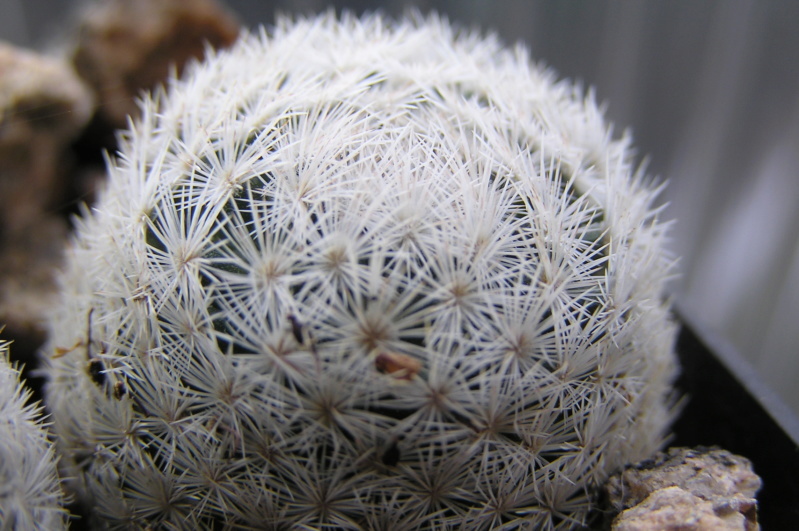 If you scroll down on Maurillo's pages (http://mammillaria.forumotion.net/t1181-mammillaria-lasiacantha?highlight=lasiacantha) you will find the SB30 plants. There is also a photo of egregia from Villa Insurgentes, but that certainly is not an egregia, that is M. stella-de-tacubaya. 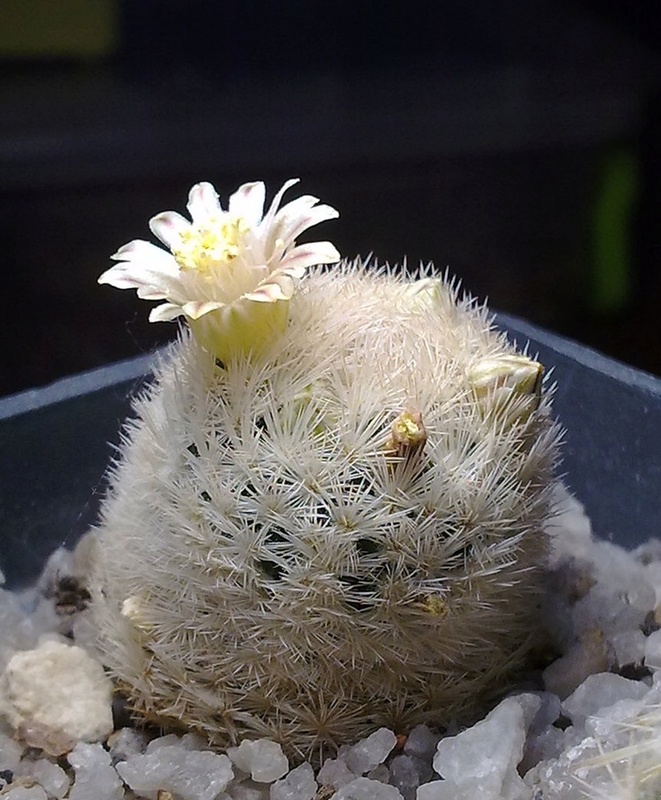 This is my Mammillaria egregia SB30. As Wolter mentioned, the spine distribution is very flat, almost like M. herrerae. EDIT: I went back to my records and noticed the reference for this plant is NOT SB30, but rather MK 160.461 (Ciudad Jimenez, CHI), from seed sold by Dohnalik in 2011. Still fits the description. 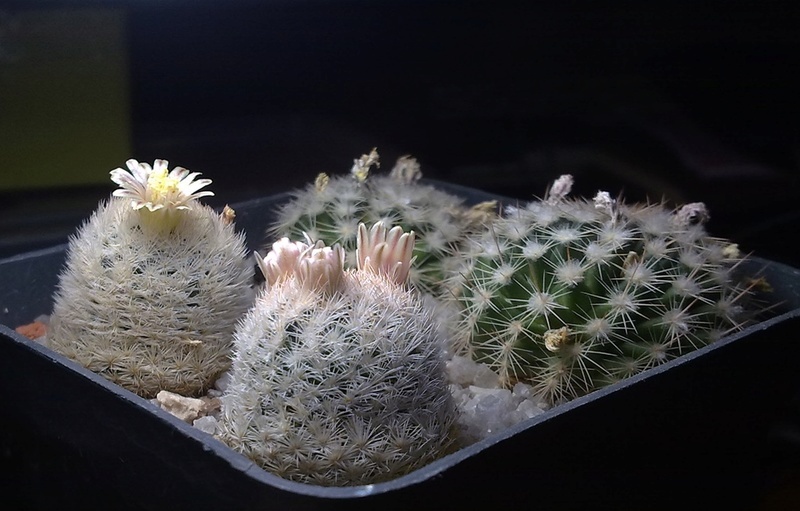 Thank you The fact they stay compact for years is especially pleasant as I only have a single sunny windowsill for all of them. I bought them from a famous Ukrainian breeder Sergey Miroshnichenko. 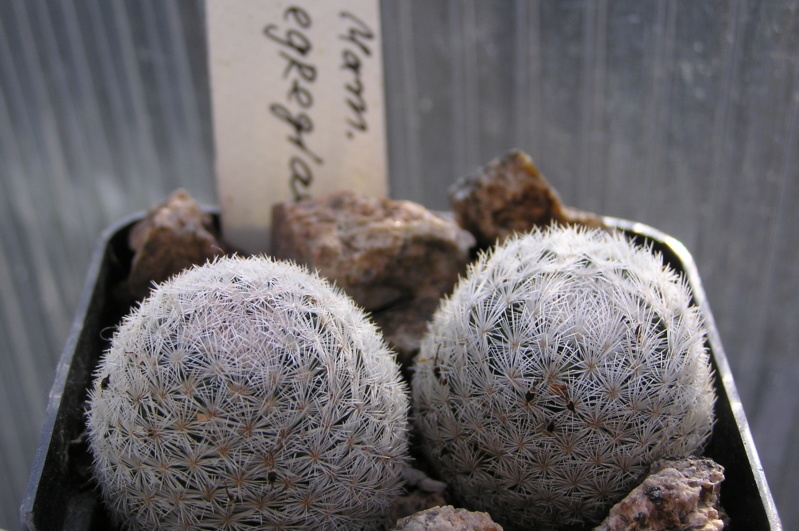 In his plant list, it just goes as Mammillaria egregia, without locality data. Well, yes, I quite agree that it can hardly be a real M. egregia, as it has nothing in common with SB 30. 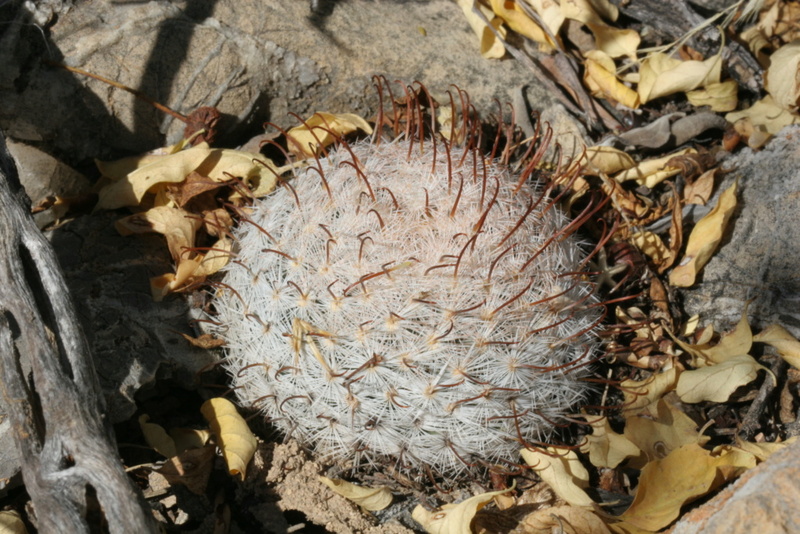 Probably, a variation of M. lasiacantha. 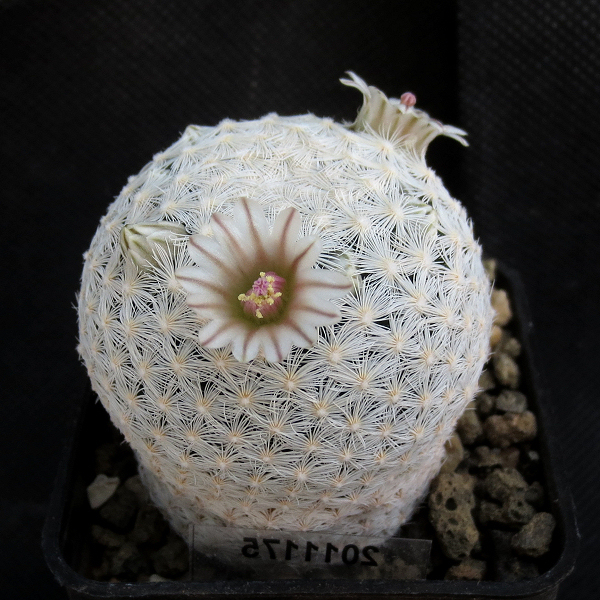 As for M. stella-de-tacubaya, they've got crooked central spines, haven't they? 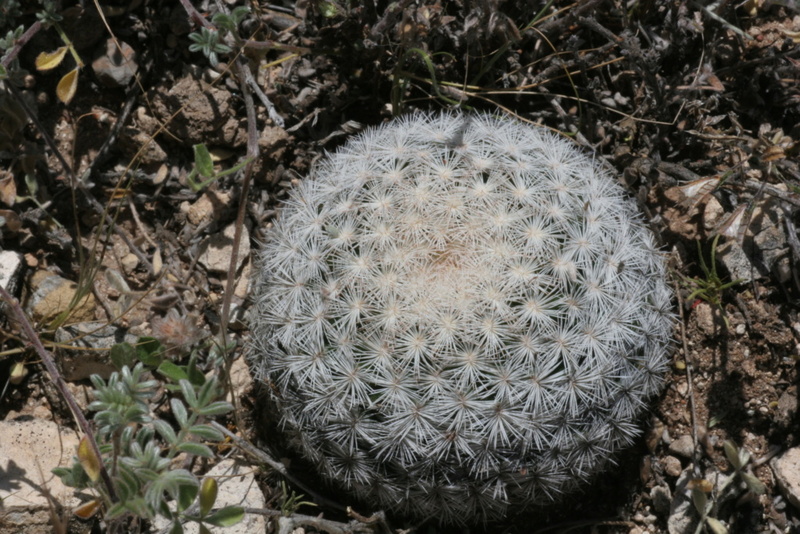 I have added a few photos from plants in habitat, M. egregia as well as M. stella-de-tacubaya. 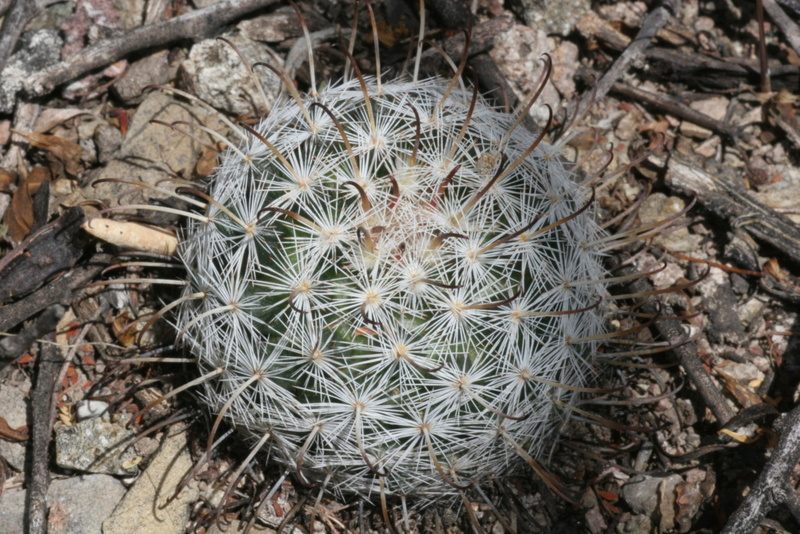 M. stella-de-tacubaya often has hooked central spines, but not always. 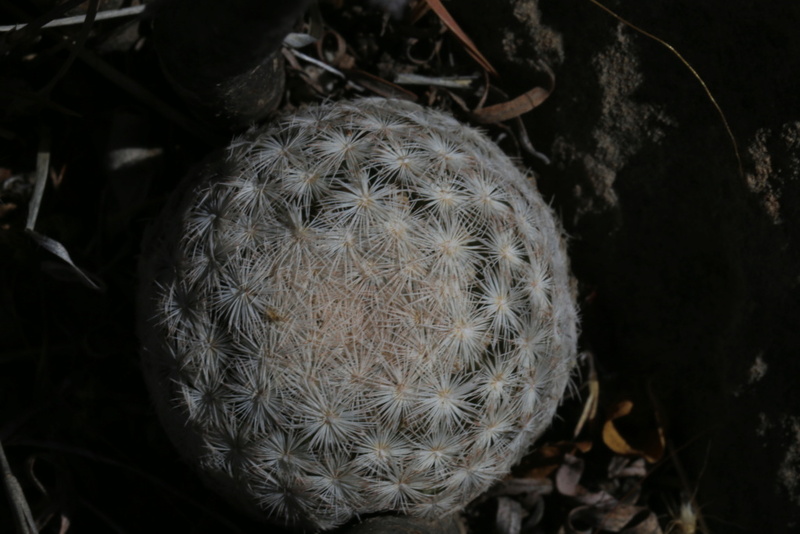 You can observe that in nature, as well as in cultivation. Between Nazas and Rodeo, at one and the same location, I found stellas without any hooked spines, and with hooked spines. 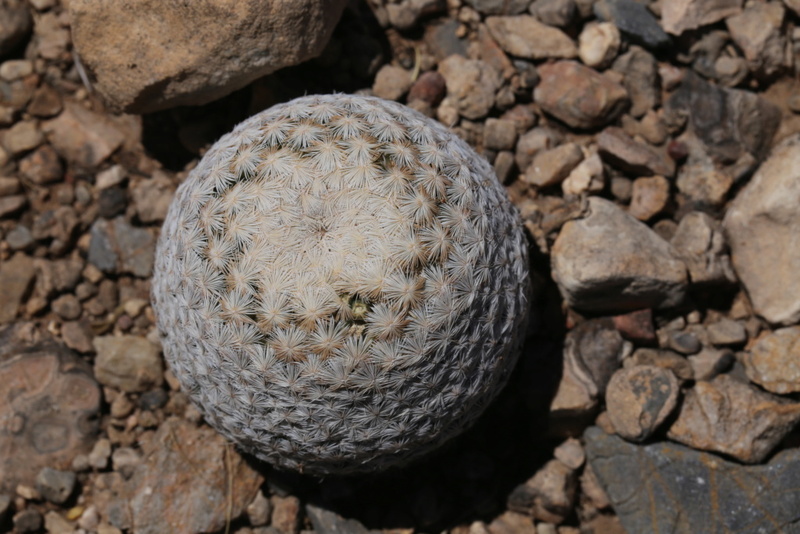 In the region north and west of Nazas, the hooked spines are quite common (broadly speaking, WTH 242, 310 and 726 are from that region), but in locations further away, they are sometimes completely absent. You are right without information about the place where we can't figure out what. Thank you for correspondence travel. SB 30, and as it turned out MK 160.461, very elegant and recognizable plants. I've been paying attention to them.